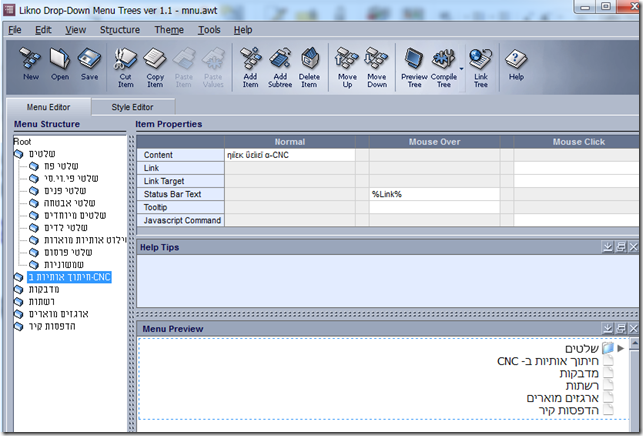 November 25th, 2014Can I convert a drop-down menu tree into an AllWebMenus menu theme? Knowledge Base support case for AllWebMenus Pro & Likno Drop Down Menu Trees, abstracted and stripped of all user’s private info. 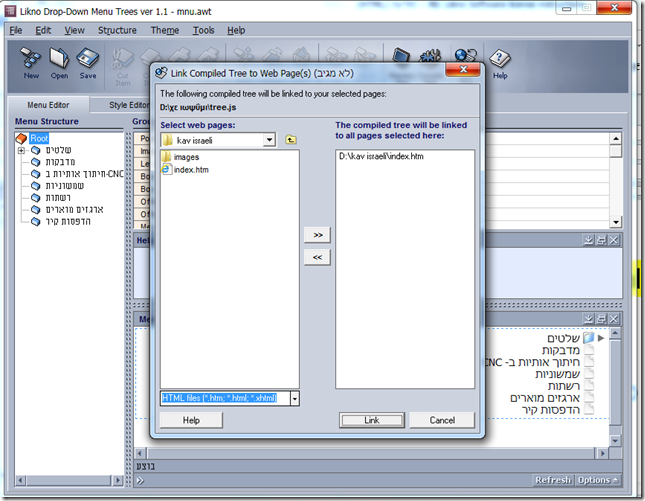 Initial Email Subject: Conversion of Likno Drop-Down Menu Tree - to a Likno AllWebPro file. I wanted to know is there a way to convert a file created in Drop-Down Menu Tree to a AllWebMenus Pro 5 theme. I am afraid it is not possible to convert a tree project into a menu theme in AllWebMenus. In order to create an AllWebMenus theme you need to make a menu in AllWebMenus and style it the way you want it. 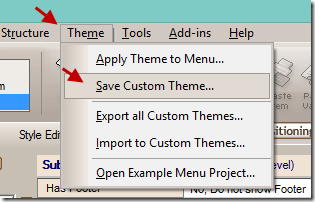 When you are done go to Theme -> Save Custom Theme. October 14th, 2014AWM: How can I stop the menu from being open when the current page is open? I do have one more question. When I go to my drop down menus under product or industry and click an item, the menu sits on open on that page for a few seconds. Is there a way to stop this? So if I go to Industry and click Educational the menu stays open for a few seconds. My first guess is that you have the following option checked. Please, click on Global Properties -> Show Item or Group on Appear and uncheck the "If the highlighted item is inside (or parent of) a submenu group, this will also appear selected and open". If this is not your case, check if you have selected the submenus to be sticky. 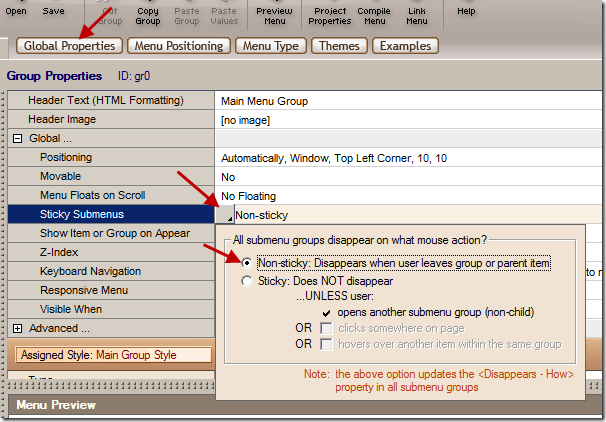 If you had done so, please click on Global Properties -> Sticky Submenus -> Non-Sticky. When you are finished with your changes, please re-compile your menu project and re-upload the produced files to your server. If none of the above are the cases please export and send me your project file, so that we can have a better look at the problem. Awesome! It was the first issue. Thanks so much! 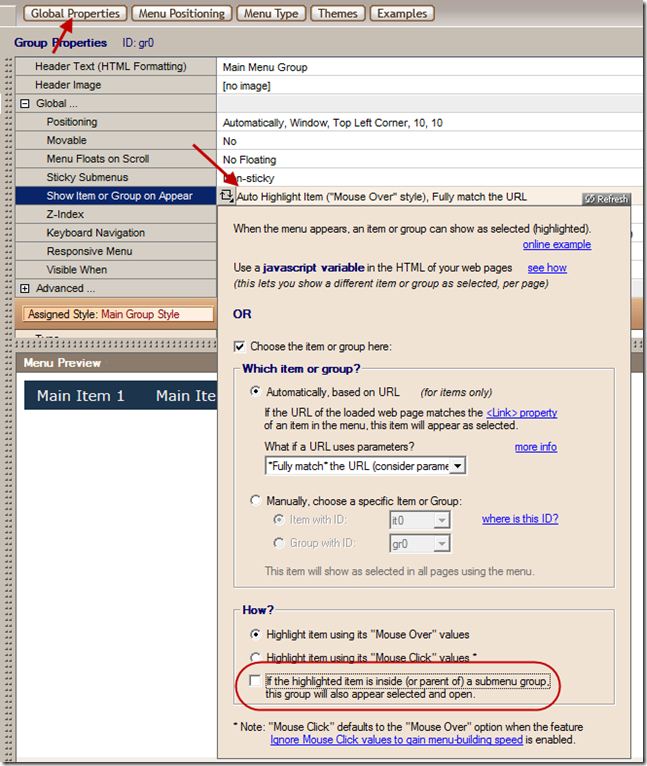 January 2nd, 2014AWM: Can I hide menu links from Google crawling? 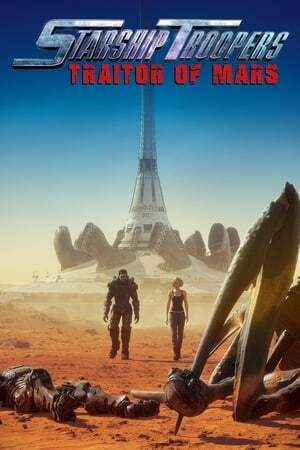 I am building a silo structured website and would *love* to use your Allwebmenus Pro but I need to hide the menus from Google and make their bot follow my link structure. 1. Can/does Google read the js files? 3. Is it worth putting the menus in an I-Frame? Note: I am specifically worried about Google and assume you are up-to-date with the latest thinking. Your advice ahead of a purchase would be much appreciated. As far as we know, Google cannot find the links contained inside our menu.js file, because this file does not have straight <a> tags, or even "onclick" methods. It merely has the URL as a string parameter which later the awmlib1.js (or awmlib2.js) reads and creates the link. For this reason, we created the "UL/LI" population option in AllWebMenus so that users that do need SEO and Google crawling the pages can use it. So, we believe that if you use AllWebMenus with the standard population method Google will not crawl the links within (which are actually parameters). Don’t put the menus in an i-frame, it has no difference in terms of Google crawl. So I believe you are safe with the external menu.js file of ours (which does not even have the links in coding format but only as parameters).